Our team pours out their lives every single day. Whether it’s under a mango tree in a village, sitting patiently in a government office, or making a bed up for an incoming guest. Each task is equally important and equally gives glory to God. Our leadership knows that living a life that is constantly being poured out requires time to be poured into. Revival requires one who is already walking in it. We firmly believe in the power and fruit of revival. 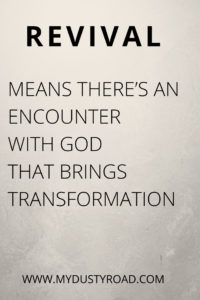 Revival means there’s an encounter with God that brings transformation. And we see that transformation in lives, communities, and nations. Revival is real and is happening now. I think the most important thing to understand about this move of God is that it doesn’t come from a degree, resume, or even years of ministry. It comes from the Holy Spirit and from a revelation of your identity in Christ. It comes from worship, the kind of worship where nothing else matters but Him. Jesus said to worship in Spirit and in Truth. This is where revival starts. And as carriers, every place our foot steps in will ignite in revival. So this week on Rapid 14 base, every missionary currently stationed in Zambia is together with the intention of pressing in deeper, expanding the vision, and fanning the flame that we’ll take back to our areas of ministry. These aren’t normal meetings. This is where nations are changed. Peter experienced revival on Pentecost and the result was thousands giving their life to Christ. The testimonies from our team are just as amazing- Muslims giving their lives to the Lord, blind eyes opened, rain in deserts that had drought for 22 years, and leaders grasping ahold of the Gospel and running with it to unreached areas. This is what revival looks like and I’m so happy to be a part of a team that operates in it. Yes!! One Tribe! Love the unity we find in Christ. Absolutely beautiful! Awesome! What part of Zambia? Whenever you’re looking to join another missions team check us out- Overland Missions (www.overlandmissions.com). We run short term expeditions all over the world.